Deputy Attorney General Rod Rosenstein has ordered federal prosecutors to dig through the background of Trump's Supreme Court pick Judge Brett Kavanaugh, presumably to find some sort of dirt which can be used to prevent his nomination. In a letter obtained by the New York Times, Rosenstein made what the Times called the "unusual request" to ask "federal prosecutors to help review the government documents of Judge Brett M. 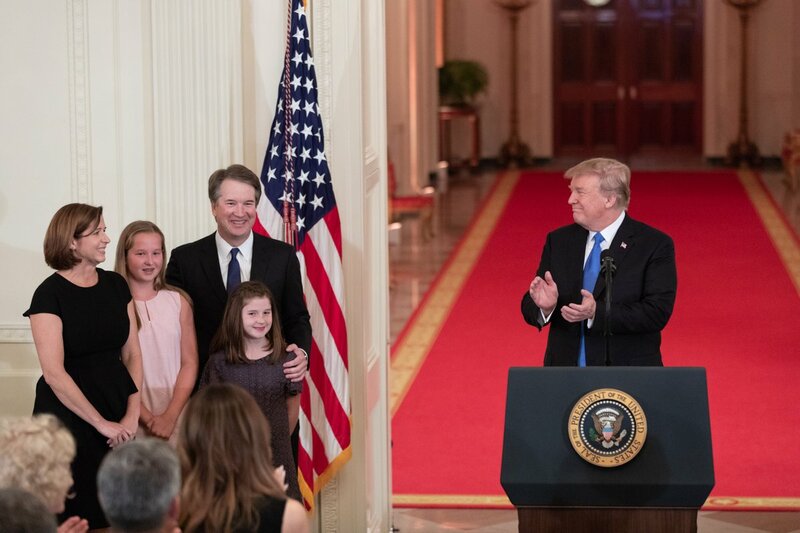 Kavanaugh." Mr. Rosenstein's request was an unusual insertion of politics into federal law enforcement. While the Justice Department has helped work on previous Supreme Court nominations, department lawyers in Washington typically carry out that task, not prosecutors who pursue criminal investigations nationwide. But in an email sent this week to the nation's 93 United States attorneys, Mr. Rosenstein asked each office to provide up to three federal prosecutors "who can make this important project a priority for the next several weeks." Names were to be submitted to Mr. Rosenstein's office by the end of Wednesday. Federal prosecutors are the biggest slimeballs on the planet and have the power to indict a ham sandwich. Hundreds of them are now going to work to prevent Kavanaugh from being appointed to the Supreme Court. You can guarantee everything they find will be leaked to the press and used against him. [...]Mr. Rosenstein's email, which had the subject line "Personal Message to U.S. Attorneys From the Deputy A.G.," included the sentence, "We need your help in connection with President Trump's nomination of Judge Brett Kavanaugh to serve on the Supreme Court." Former law enforcement officials described Mr. Rosenstein's directive as a troubling precedent. "It's flat-out wrong to have career federal prosecutors engaged in a political process like the vetting of a Supreme Court nominee," said Christopher Hunter, a former F.B.I. agent and federal prosecutor who is running for Congress. "It takes them away from the mission they're supposed to be fulfilling, which is effective criminal justice enforcement." Mr. Hunter, who served as an F.B.I. agent and federal prosecutor for nearly 11 years, said he could not recall receiving a similar solicitation to work on a Supreme Court nomination. 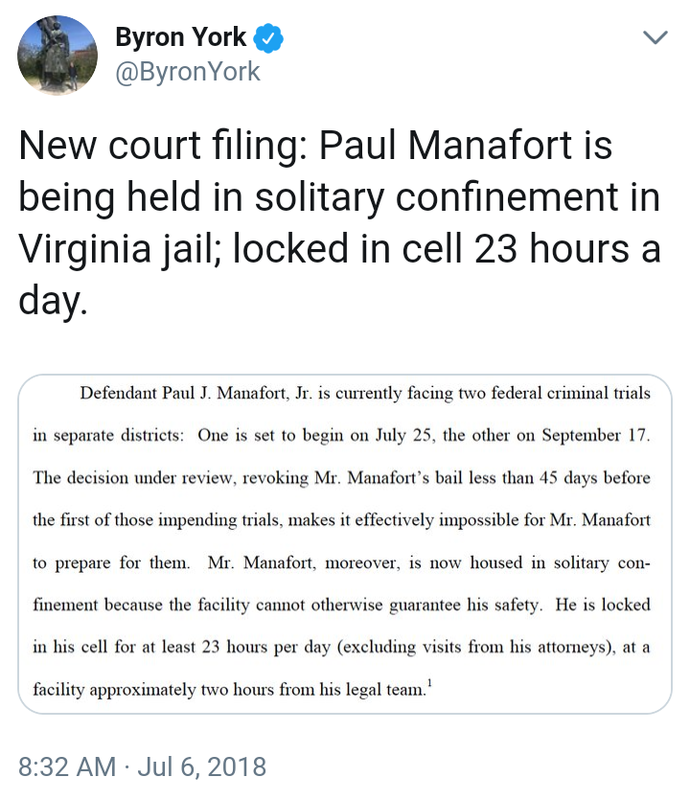 Just look at what they did to Michael Flynn, Paul Manafort, and everyone around President Trump. Now, they're trying to do the same to Judge Kavanaugh. While federal prosecutors have not been tapped to help with recent nominations, including Justices Elena Kagan and Sonia Sotomayor, "the scope of the production of executive branch documents we've been asked for is many, many times as large," said Sarah Isgur Flores, a Justice Department spokeswoman. Ms. Flores added that federal prosecutors had been used to vet Supreme Court nominees in the past. But this is the first time that the deputy attorney general has sent out such a broad request to United States attorneys offices. Mr. Rosenstein wrote that he expected to need the equivalent of 100 full-time lawyers to work on Judge Kavanaugh's confirmation hearing, and that the work would be supervised by the Justice Department's Office of Legal Policy in Washington. The office typically helps with judicial nominations; most of its staff is made up of career Justice Department lawyers. 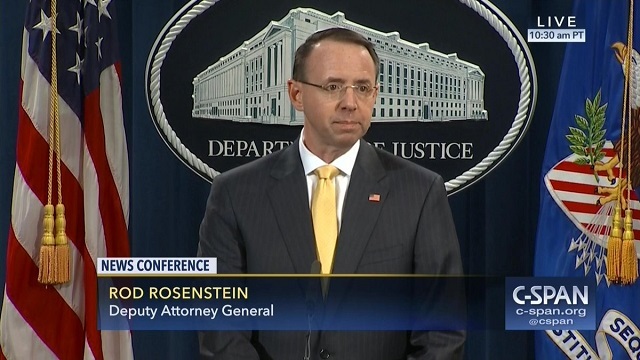 Rosenstein has been doing everything in his power to sabotage Trump's presidency from the very beginning, starting with appointing deep state crony Robert Mueller to carry out a never-ending witch-hunt over phony "Russian collusion." Rosenstein, not Kavanaugh, is the one who should be investigated, and it should be for treason.